Productivity is about creating more value by making better use of a country’s resources. It is also a vital measure of business profitability and sets a country’s standard of living in addition to having a significant bearing on citizen well-being. In New Zealand, despite good overall economic performance, our average income levels are still below the Organisation for Economic Co-operation and Development (OECD) average and long-term productivity performance is often cited as a key reason why. At a recent Business Update breakfast hosted by BusinessNZ, recently elected Prime Minister, the Right Honourable Jacinda Ardern, outlined the Government’s priorities for 2018 and identified productivity as a major focus. This is great news for the technology sector, as increasing collective spending on research and development as well as technology adoption levels is one of the most effective ways to impact business productivity. 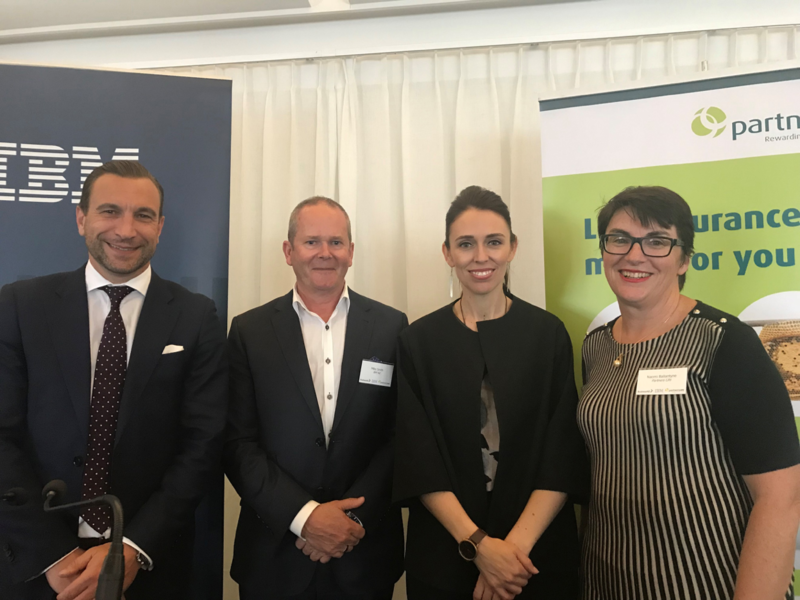 From left to right: Kirk Hope, CEO BusinessNZ, Mike Smith, Jacinda Ardern, and Naomi Ballantyne, Managing Director from Partners Life. As IBM’s private and public sector clients continue to evolve and adapt to the disruption happening across all industries, many are driving visionary technology-driven business transformation programmes – including artificial intelligence (AI), Internet of Things (IoT), blockchain and even quantum computing. IBM itself has also had to transform. From delivering heritage systems of record – which are still vital – to building new ways of engagement and putting the client experience front and centre. In fact, across the globe over 40% of our revenue is now coming from services we didn’t deliver four years ago. We know better than most that when it comes to disruption, if you’re not at the table, you’re on the menu! At a time of rapid technological change, IBM continues to be the reliable IT backbone for many of this New Zealand’s largest and most complex organisations, by keeping their core infrastructure systems running. 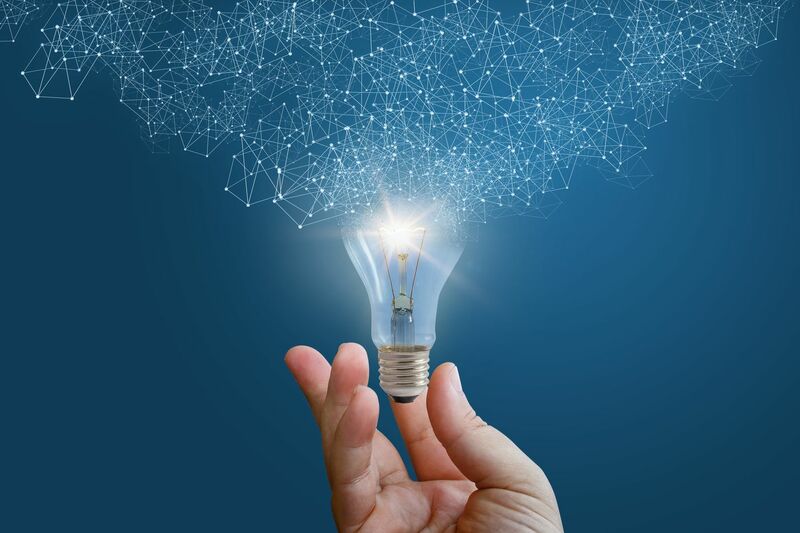 With our experience and pedigree in mainframe, storage and security we are enabling clients to bridge their existing operational or legacy systems to the innovation drivers that will redefine and reconfigure business in a constantly changing future. During the event, Ms Ardern also highlighted the skills gap and the importance of arts and creativity in the educational curriculum – of not just “STEM” (Science, Technology, Engineering and Mathematics) but “STEAM” – including the Arts. This is highly relevant in a world moving quickly towards artificial intelligence or augmented intelligence. The true value of AI lies not in trying to replicate human intelligence, but to complement it, so people can make better data-driven decisions and focus on tasks where human judgement, intuition and values are paramount. That means allowing technology to do the processing and leaving humans to do what they do best – creativity, judgement, intuition and values. Our education system and priorities must evolve to match. Regardless of what is happening on the technology landscape, IBM New Zealand will always focus on contributing to Kiwi innovation, enabling global competitiveness and supporting the well-being of our communities. We are making it smoother and easier for people and goods to move in and out of the country and working with schools and universities to promote technology education programmes. I am proud of what we can all achieve together in our continued commitment to New Zealand’s economy and making the lives of Kiwis better and safer. We look forward to supporting the Government to achieve those goals and enable that transformation for public and private sector organisations alike.